Norwegian State Forest (Statskog) hopes Norwegians will leave their homes to try their fishing luck. Most lakes are in fact over-filled with fish. – It has never been easier to get fish than now. We have too much fish and too few fishermen. 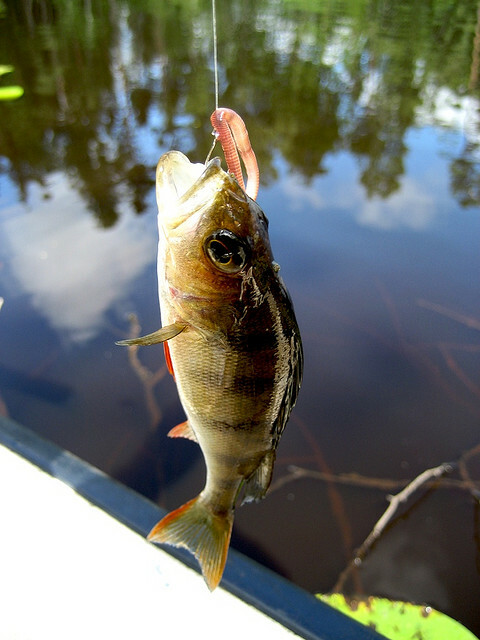 In many places we have to put out large traps and capture as much perch and trout as possible, says Frode Knutzen Midtlund in Norwegian State Forest. Too few fishermen and too much fish are the key words for more than 60,000 lakes in Norway this summer. There are too few people that take advantage of the lakes, according to Norwegian State Forest. – This applies to the entire country, says senior consultant in Norwegian State Forest, Torkel Skoglund to VG Nett. Norwegian State Forest has therefore raised the age limit for free fishing from 16 to 20 years, and now encourage everyone to go fishing. – Turn off the PlayStation, pack your bags and bring your family out to the lakes! Skoglund understands that many may lack fishing equipment, but with so much fish as it is right now, you do not need high-tech equipment to catch fish. – It may be enough with what I used when I was a boy; bamboo rod, line, hook and worms. Norwegian State Forest owns the majority of lakes in Norway and believes that it takes a lot not getting fish in many of the lakes they control. – It’s probably not trendy enough to go fishing. Specialists continue to go, but fewer grandparents take their grandchildren on fishing trips, Skoglund says. The Norwegian Association of Hunters and Anglers agrees with the trend analysis. – This is probably a general trend. The interest in traditional harvesting activities, including fishing (Editor’s note: And berry picking), is falling. Angling specialists are probably not fewer, but fishing as a popular activity is falling, says Head of Information Espen Farstad in Norwegian Association of Hunters and Anglers to Avisa Nordland. Unfortunately, it is not only positive that the fish always take the bait, says Torkel Skoglund. – The worst thing for the lakes is too much fish. When it gets over-filled there are too many fish and too little food, then you get a spiral that only goes down. He recommends everyone to visit the lakes and help Mother Earth. – If you also bother to bring a frying pan, salt and pepper, – you can get a wonderful experience! ‹ Kon-Tiki – The Movie – Premieres on August 24th! Every year I come to Norway for hiking and fishing in the lakes and I never bothered of paying any stupid permit. And well, if you have couple more braincells than a trout you would know about self-regulating habitats.